The Ottoman Mediterranean represented a space in which slave trade flourished. This phenomenon developed from pre-existing practices toward innovations brought about by a growing connectivity with other world regions and by a changing policy of territorial expansion. In this episode, we discuss the ambiguity between slavery and servitude in the case of the Mamluks of the Tunisian Beylik (18th-19th century). Moreover, we explore the complexity of economic processes, legal interpretations, and geographic routes which impacted the evolution of slave trade from the 16th century until abolition. Lastly, we reflect on chances and problems related to retracing the self and the narratives of those directly involved in the slave trade before and after manumission. The process of nation building inside and outside the Balkans is one of the most studied phenomena of the nineteenth and twentieth centuries. In this episode, we discuss the case of Bosnia and Herzegovina during Habsburg rule (1878-1918) with a particular focus on the activities of Serbian Orthodox actors. 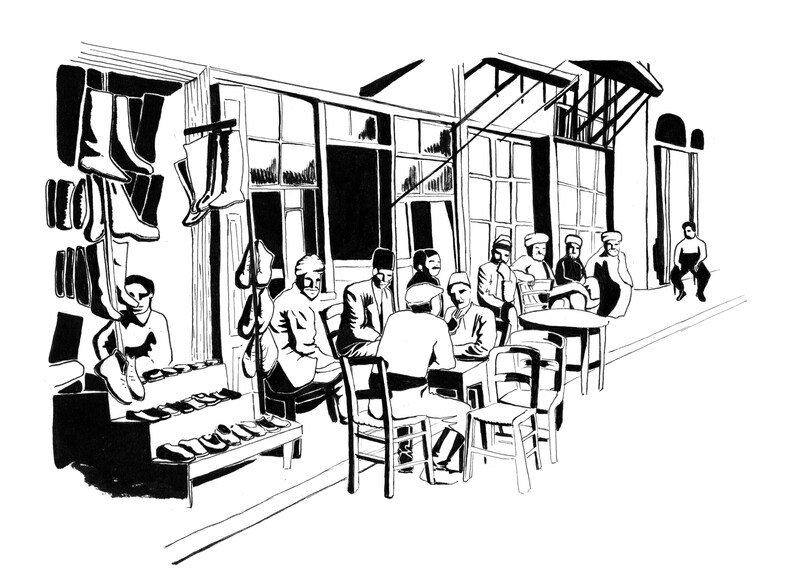 The Austro-Hungarian occupation provided a framework of imperial governance that innovated former Ottoman politics of ethno-confessional difference as well as spaces of socialization and communication. At the same time, publicists and scholars put effort in “educating” the lower classes of the population in terms of national belonging, divulgating everyday customs and religious rituals and trying to build the nation as an emotional community. This resulted in the foundation of new, “nationalized” conceptions of history blending what was described as folk culture and modern media such as journals and yearbooks. Serbian bourgeois nationalism claimed to be the only political movement that could overcome confessional fragmentation and form a modern society able to prosper and progress. This idea of “mastering” multiculturalism was also reflected by new interpretations of local and regional history which the protagonists of the national movement tried to popularize. Book review by Agustin Cosovschi. Historians can offer a perspective on corruption that goes beyond a normative and simplistic dimension. Approaching past discourses and events related to corruption allows to underline the transformation of its connotation through different periods and different socio-political systems. The Kingdom of Yugoslavia (1918-1941) offers a particularly interesting case study for reflecting on how debates on corruption intersected with the process of state formation, itself consisting of a centralist pattern on the basis of Ottoman and Habsburg imperial legacy. After 1945, the Socialist Federal Republic of Yugoslavia redefined power and property relations with a clearly different ideological repertoire. However, corruption remained a relevant element for negotiation of power, elite circulation and generational dynamics until its dissolution and beyond. In this episode, we discuss the emergence of the Turkish nationalist movement under the leadership of Mustafa Kemal Atatürk and the establishment of a sovereign Republic of Turkey in 1923. As our guest Prof. Erik-Jan Zürcher notes, Kemalism can be studied both as a political transformation from armed struggle to a one-party state administration system and as a repertoire of discursive symbols based on the imaginary of nation, civilization, and modernity. This installment is structured along a series of lectures that Prof. Zürcher has given at the École des Hautes Études en Sciences Sociales in Paris, in which he has framed Kemalism’s activism and worldview within its contemporary international context as well as along a broader chronological axis continuing into the 1950s. Since 2002, when the Party of Development and Justice (AKP) seized power in Turkey, the relationship between state institutions and unions has changed toward polarization and fragmentation. Increasing interference of the government in unions’ internal affairs, explicit favoring the pro-AKP unions, has marginalised dissident confederations of workers, while former trans-union shared initiatives and platforms for defending workers’ rights have faded. In this episode, we approach the historical background of this setting in terms of economic and social transformation of Turkey during the last decades. Secondly, some patterns of union activism and the profiles of the actors involved are discussed. Thirdly, we provide an insight into some local configuration that show a limited, yet existing room for resistance against the AKP policies and state interference.